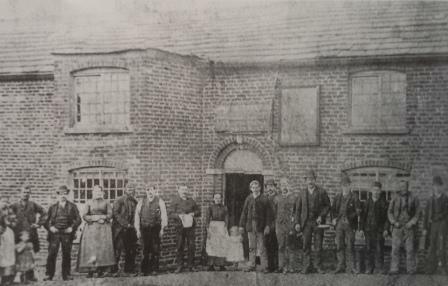 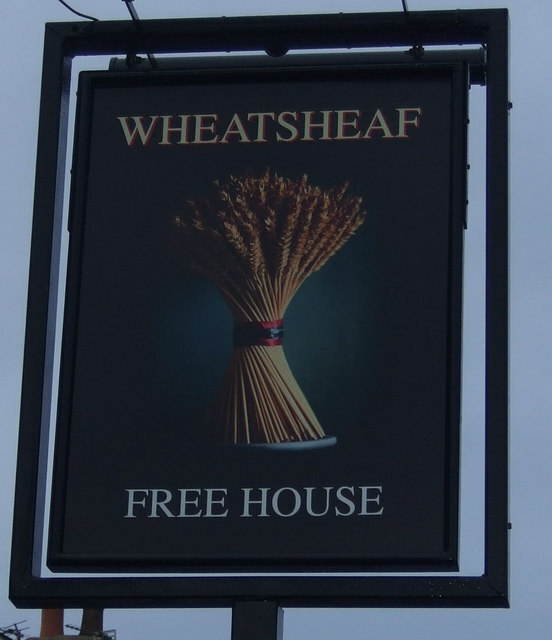 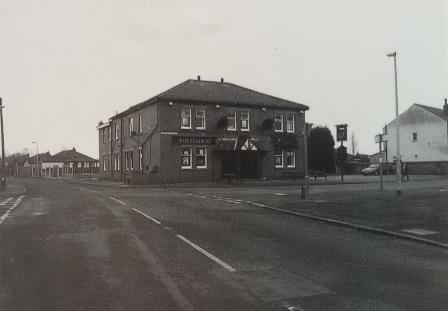 The Wheatsheaf has been open for business in Coppull since the 1700's although the current building is not the original as pictured above. 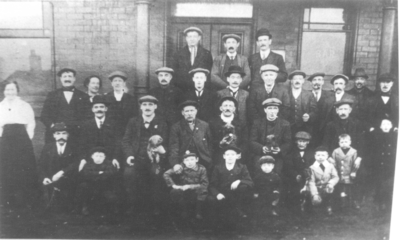 The original tenants were the Glover family who also ran one of the largest farms in the village, Blainscough Hall. 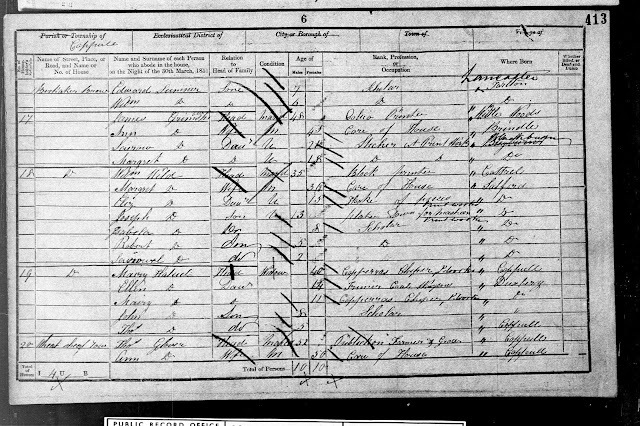 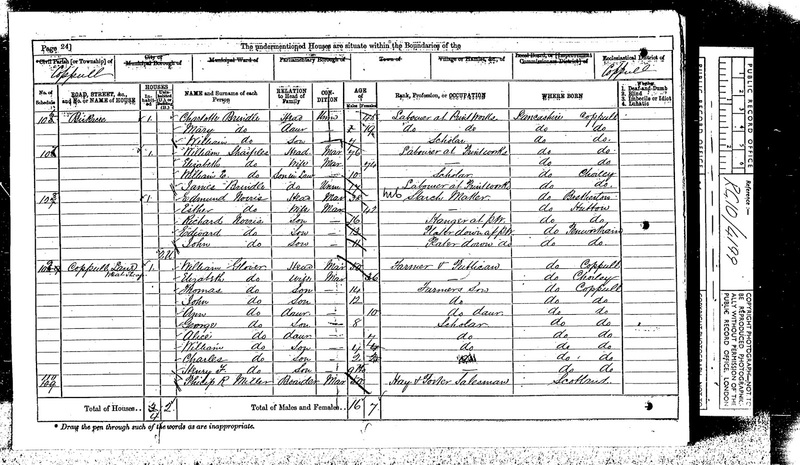 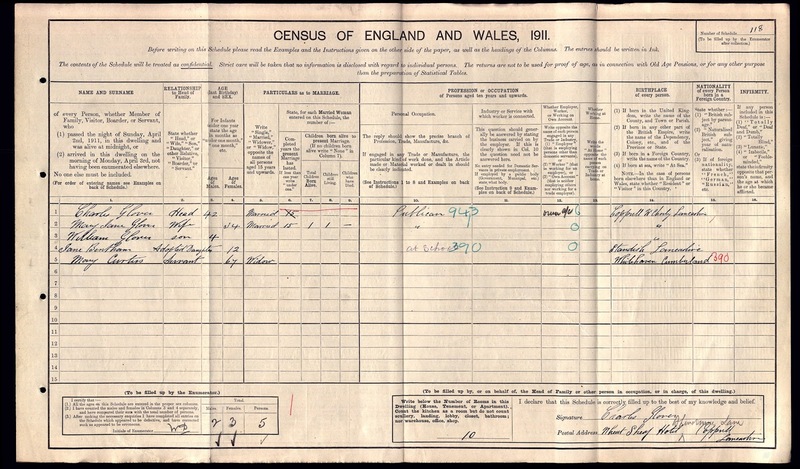 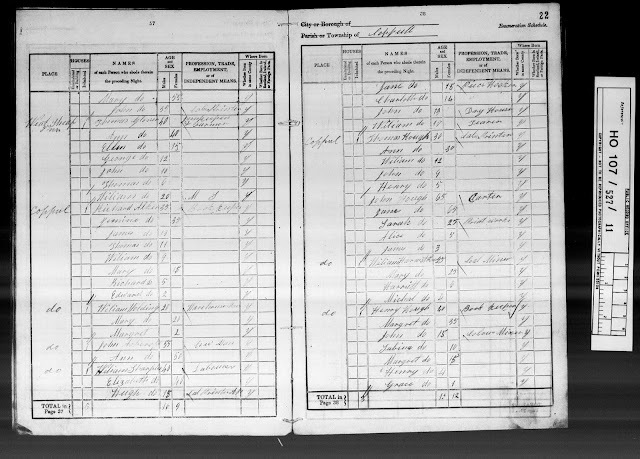 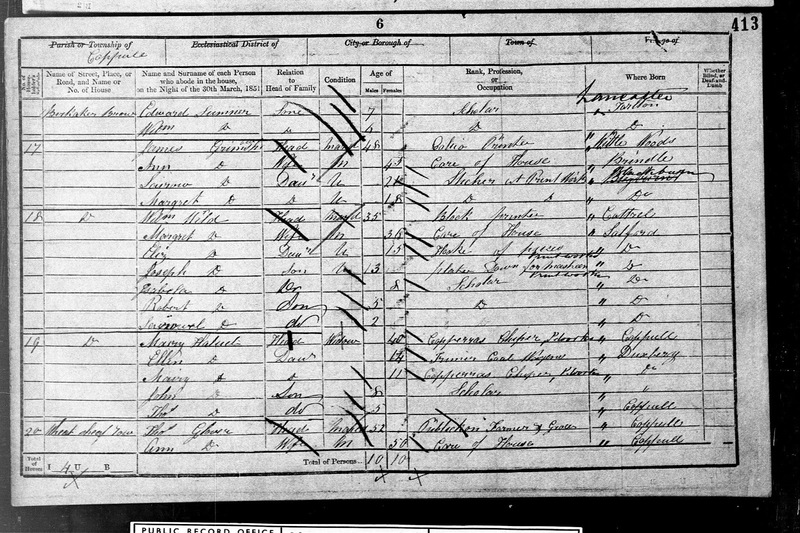 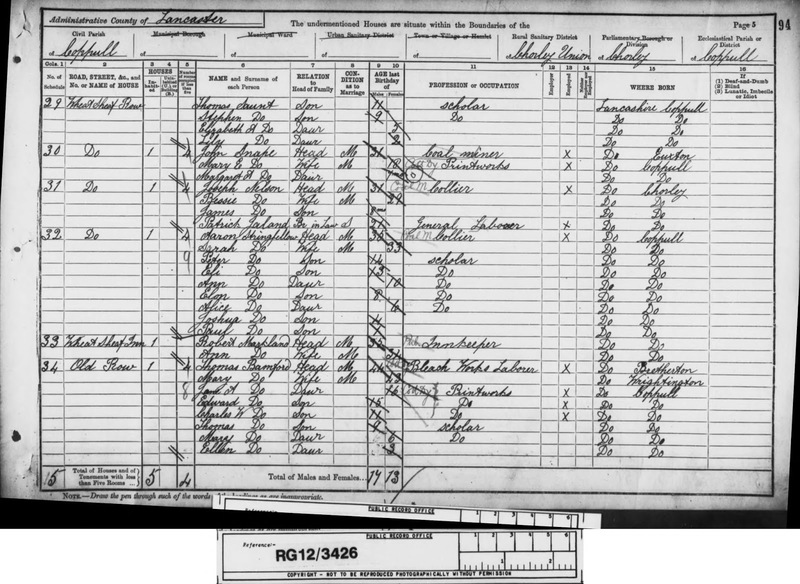 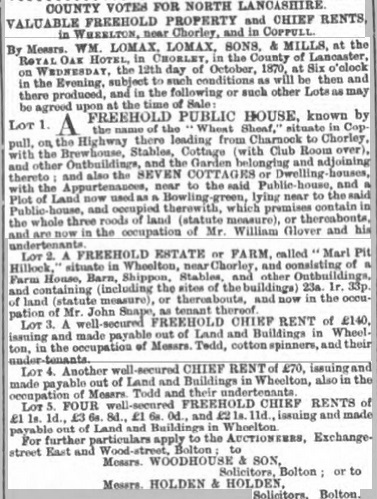 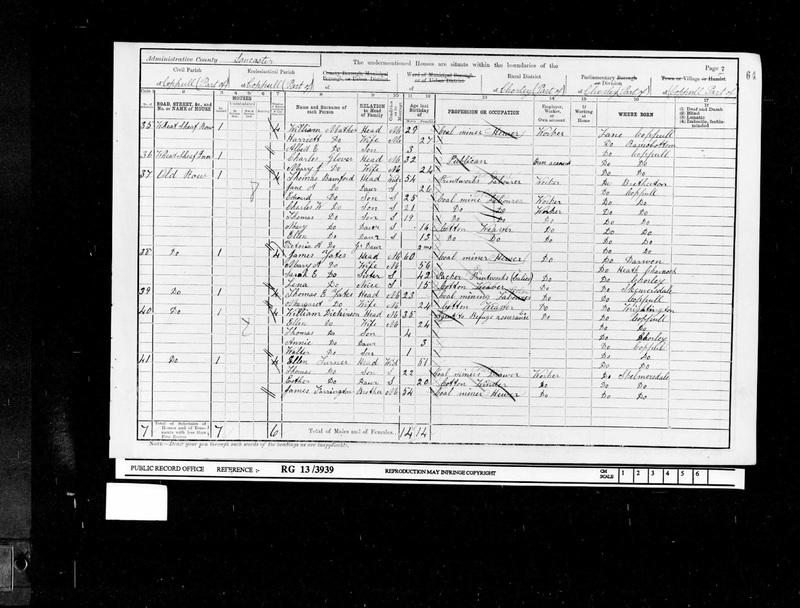 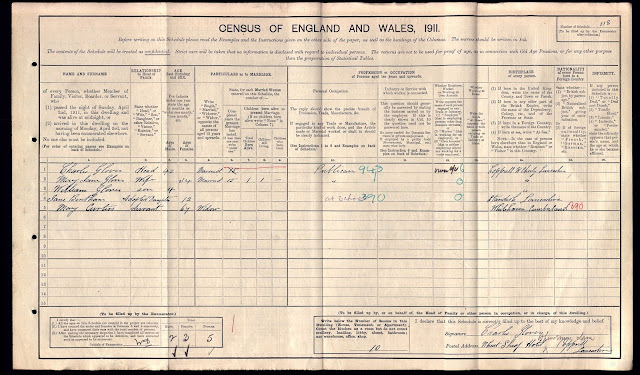 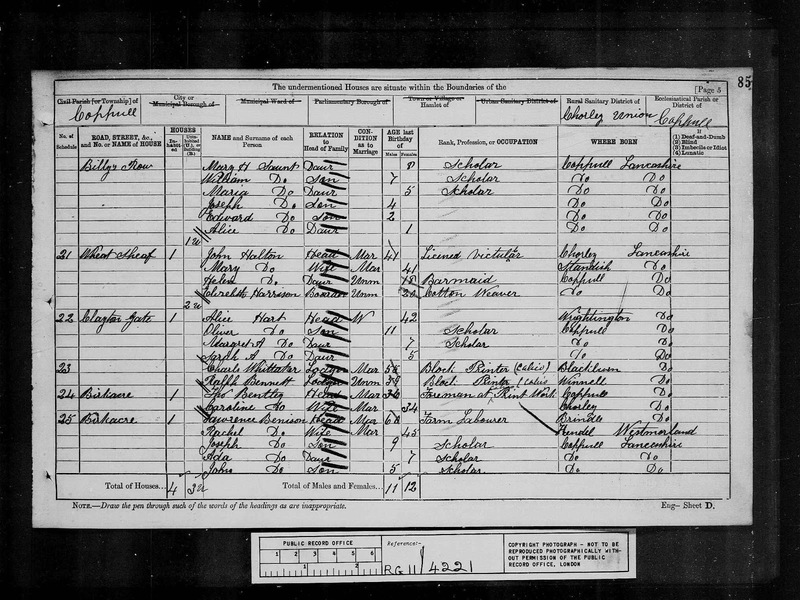 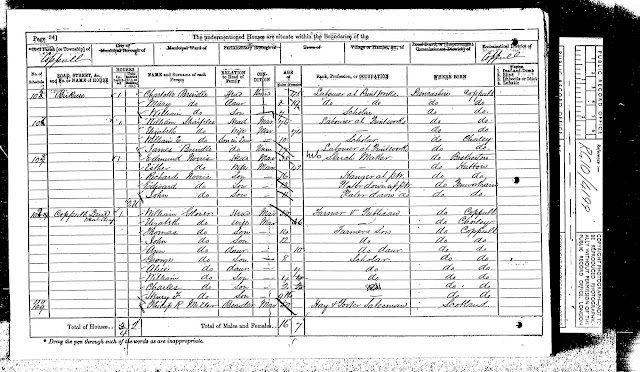 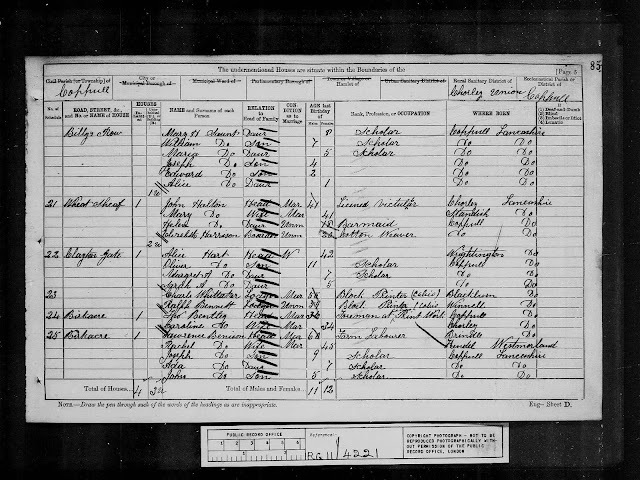 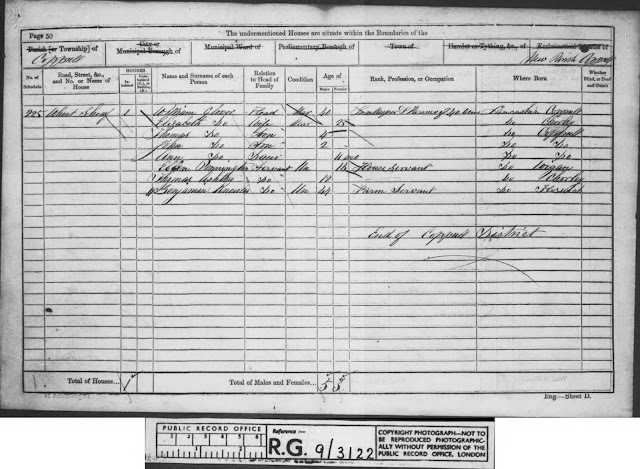 Listed landlord from census, press and directory records were Thomas Dolphin, Thomas Glover (1841-51), William Glover (1861-71), John Halton (1881), Robert Markland (1891-93), Charles Glover (1901-11) and Nick Webster (2011). 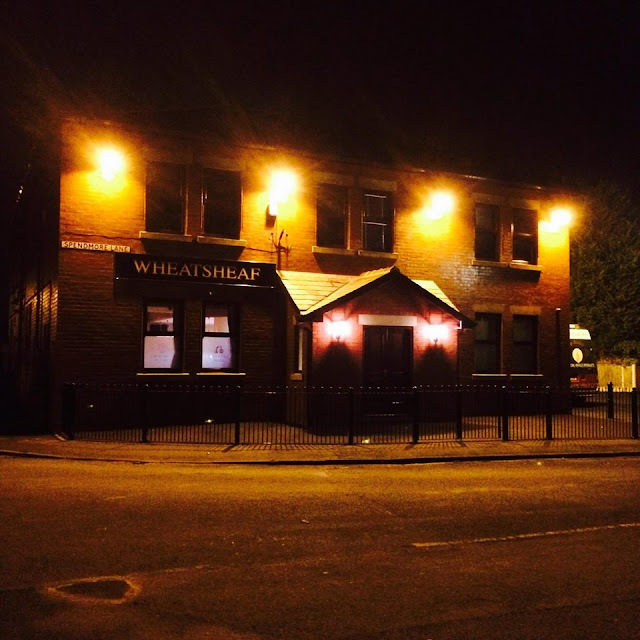 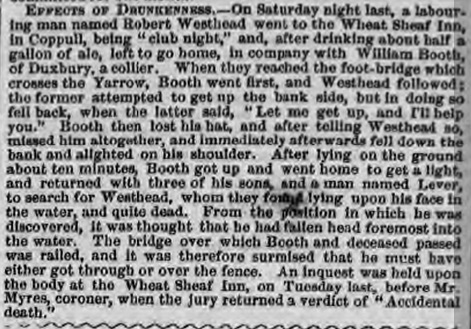 Coppull Parish Church burial records show that on 23rd Nov 1893 Robert Markland, licensee of the Wheatsheaf Inn was buried, aged 36 yrs. 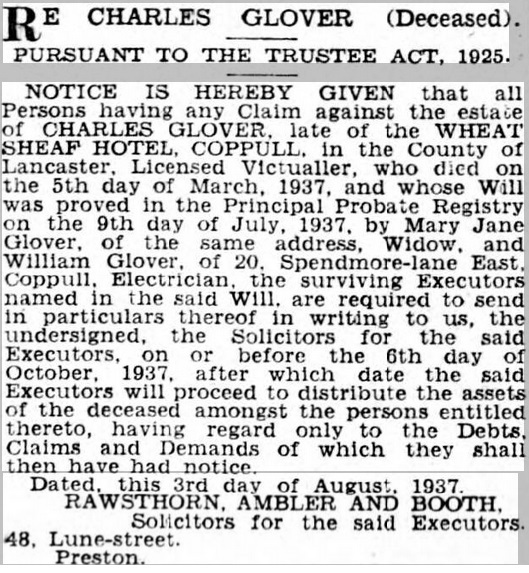 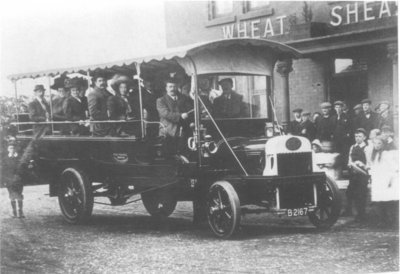 His widow Ann Markland was left to run the business and the following year she married back into the Glover family, marrying George Glover but sadly, she too died young as parish records show she was buried on 26th July 1897 at 39 years of age; at that time she had still been living at the Wheatsheaf Inn. 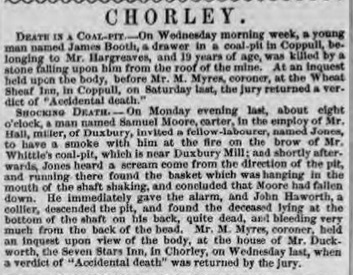 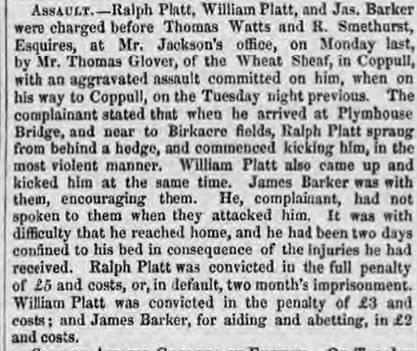 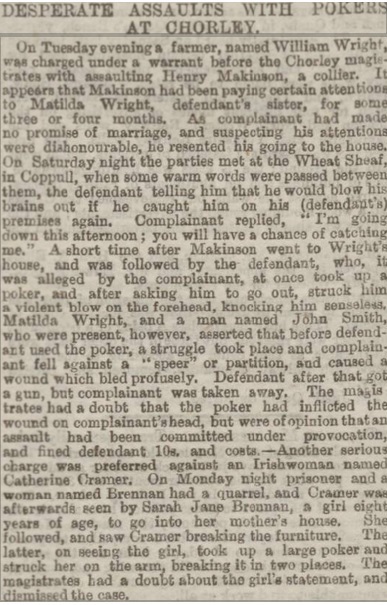 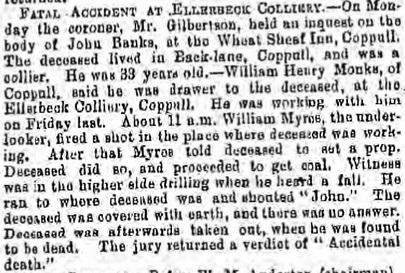 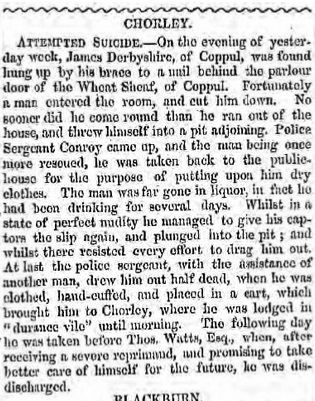 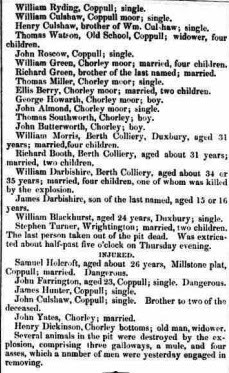 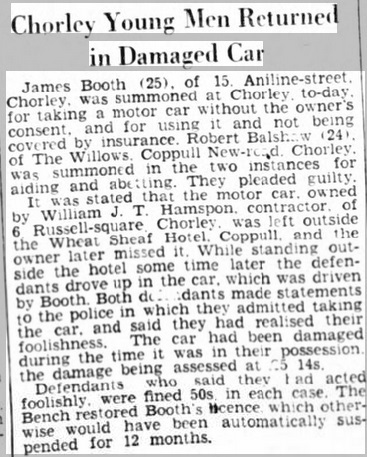 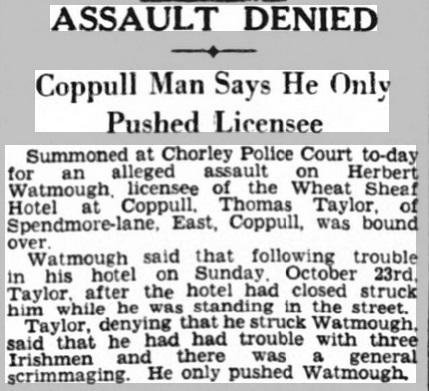 George also died and was buried on 31st May 1899 at the Parish Church, Coppull; he was 37 years old and the Wheatsheaf Inn then passed to his younger brother Charles.